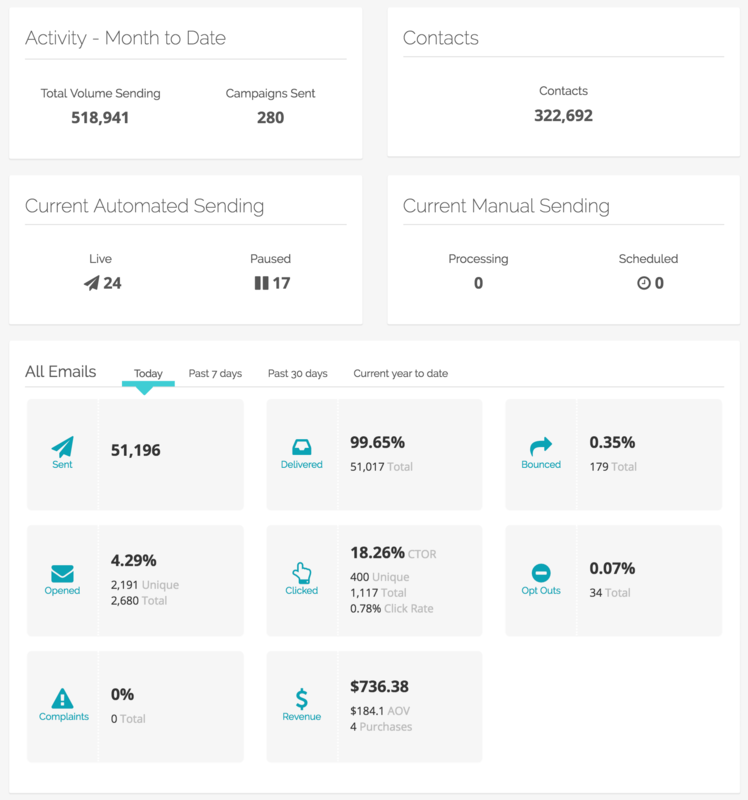 When you log into Cordial, you'll be presented with the Dashboard. Here you'll find an overview of message sending and performance. Total Activity - The amount of total volume sending. Contacts - The total amount of contacts in your Cordial account. Current Automated Sending - A total of all automated messages live or paused. Current Manual Sending - A total of all batch messages processing or scheduled. Sent - The total messages sent. Delivered - The total messages delivered, calculated by subtracting the total bounced from total sent. Bounced - The total bounced messages. Opened - The total opens and total unique opens. Clicked - The total clicks, total unique clicks as well as the click rate and click to open rate. Opt Outs - The total opt outs. Complaints - The total complaints. Revenue - Total revenue, AOV and purchases. In the next article learn about the Event Dashboards.